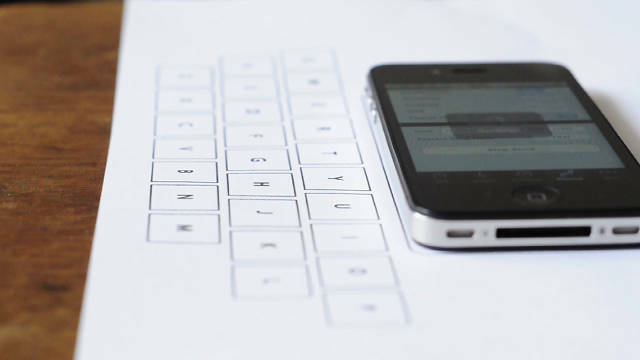 What if your keyboard wasn’t a keyboard at all? All the user needs to do is train a new surface, tap a few points and let the software know what letter those taps are supposed to be and Kräutli’s software will number-crunch the positions for the rest of the keys. A user can then save this surface so the software won’t need a calibration for it again. Kräutli invisibly autocorrects typing, much like Apple’s own spell checker fixes mistakes, though at a deeper level of the application. Unfortunately, this design breakthrough won’t carry over very well to another killer application, gaming. For the same reasons, music creation is a no-go as well, since a computer could hardly predict your next move (unless you wanted every song to sound the same). Even still, Kräutli’s creation is a remarkable statement about the future of user interfaces, where conceivably, every surface becomes a conduit for digital input. But sadly, the OS X software isn’t available for download at this time. See more of Kräutli’s work here.